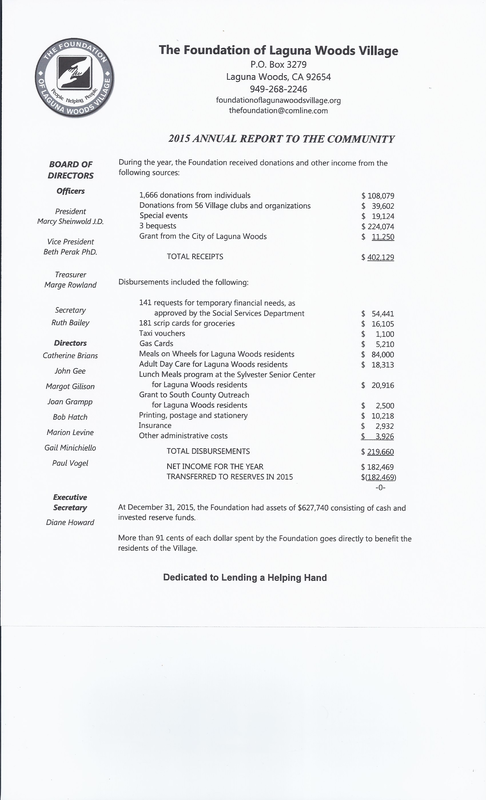 Thank you to all the residents, clubs, and organizations that support the Foundation of Laguna Woods Village. 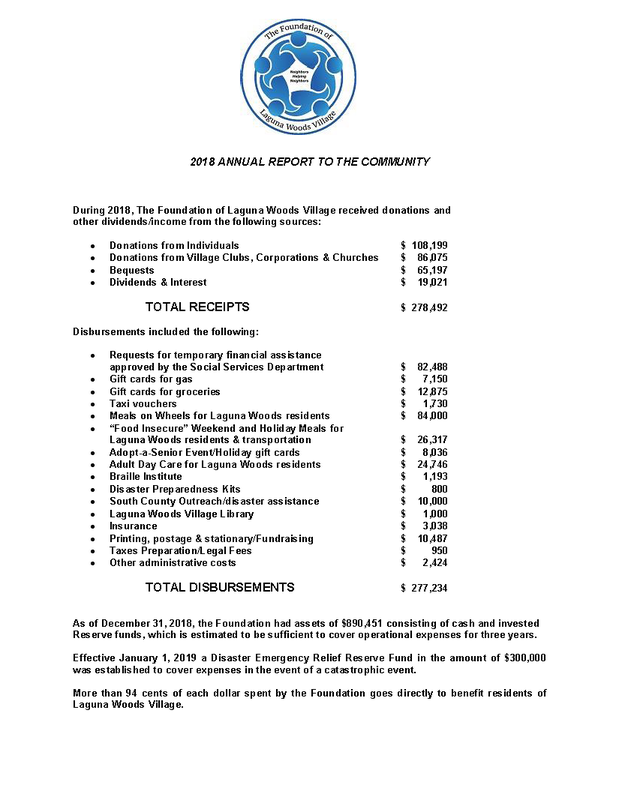 Your support during the past year has made it possible for the Foundation to realize its mission of providing temporary financial assistance to Village residents in need. Foundation aid can take the form of assistance with utility bills, telephone service, needed prescriptions, or paying for medical, dental, or respite care. Grocery and gas cards are also available as well as taxi vouchers. 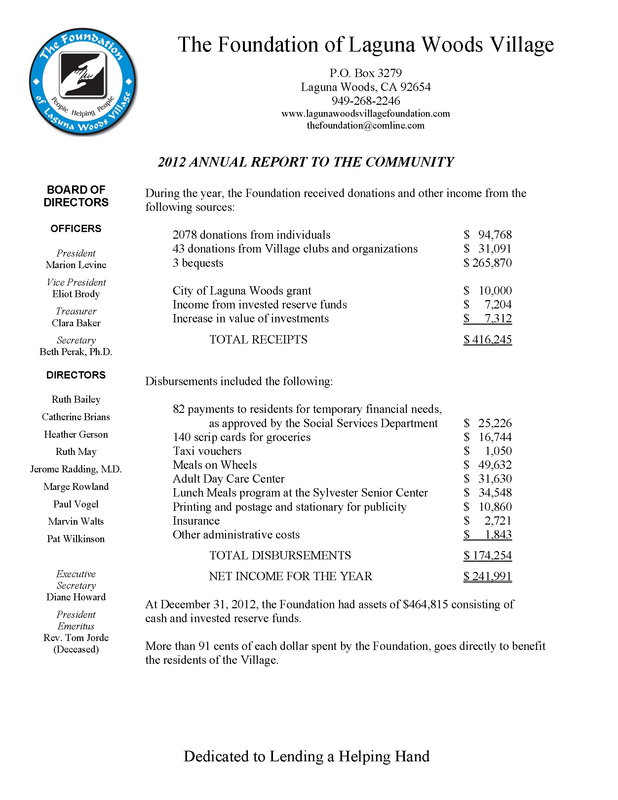 Your support has ensured that the safety net was there for our neighbors. Together as a community we meet the needs of all our neighbors. 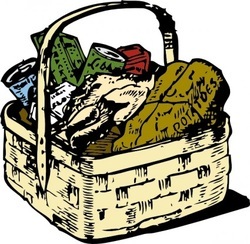 $50 & $100 Grocery Cards--for many residents, living on a budget has been difficult and grocery cards have been a lifesaver. In 2015 we donated over $16,000 in grocery cards. Over the past four years we have donated over $70,000 in grocery cards. ​This is something to be proud of. 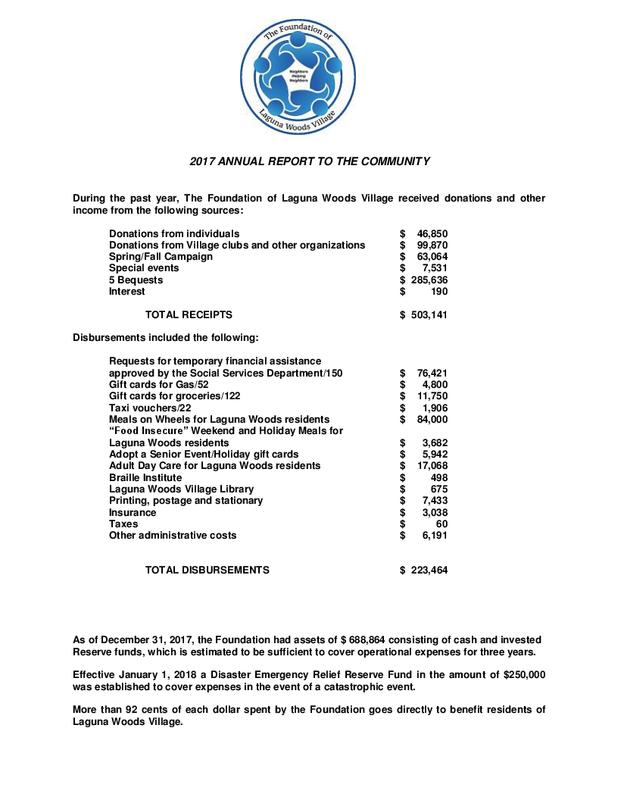 This exhibit shows in detail The Foundation income and expenses for the fiscal years 2017, 2016, 2015, 2014, 2013 and 2012. 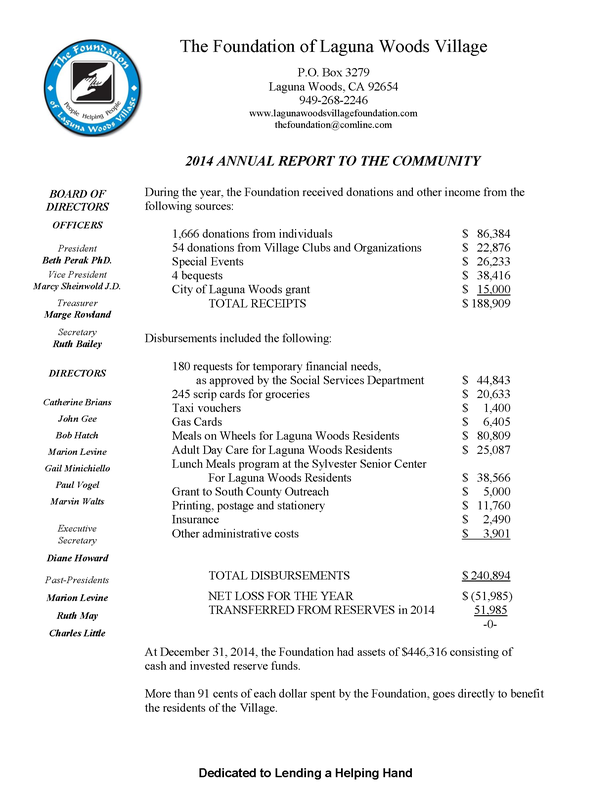 Click on individual reports below to view.